Blogging dads converged on Atlanta a few weeks ago for the Modern Media Man Summit. I wasn’t there, but its timing dovetailed with my own launching of this blog dedicated to the primary parenting dad stuf that I do and think about a lot. So when I came across the piece on CNN interviewing several of these daddy bloggers, I was intrigued. A growing number of us are writing and sharing our experiences about parenthood, our family life and relationships, homemaking, etc. Many daddy bloggers are on the front lines of changing gender roles and we are exploring how it affects us. And our families. Unfortunately, my intrigue quickly turned to dismay. From the first words out of their mouths, the two CNN hosts insulted, demeaned and otherwise poked fun at the very thought of blogging dads. First was “the guys on the couch segment” joke – apparently, men discussing anything other than sports, finance and politics make these guys squeamish. Then came the economic framing of the story – “with so many dads out of work” – as if dads would only choose primary parenting because they couldn’t get other work. These CNN guys practically said it straight out – why else would men choose to stay home with the kids? In a way, though, this conversation was perfectly true to reality. The bias that informed the CNN hosts’ reaction to even discussing the story seriously is exactly what I experience every day as a primary parenting dad. I feel it inside, splitting me in two. Part of me loves my role, loves being in charge, loves the time I get with the kids, loves the intimacy in our relationships that is the result. And part of me worries that I am not man enough because I’m not earning enough, I’m not pursuing a career and I’m not working outside the home. I’m just not taken seriously in the role I have chosen. I guess this is to be expected. We are up against deeply entrenched gender role stereotypes and severe disparities in the value of different types of work in our society. But the socio-economic trends are clearly pointing toward the changing types of work and who will be doing it. 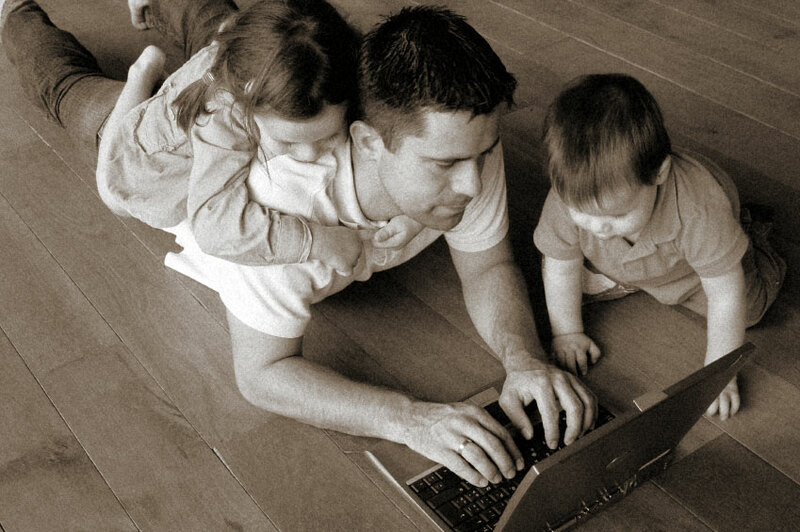 To my mind, many of us daddy bloggers see an opportunity to get more out of our family life while our family needs us while getting ahead of the curve on the changing world of work. You can watch the CNN piece and judge for yourself. CNN must have ran this story a number of times. Curiously, another version of the host’s intro was way less offensive and even had a positive spin. It’s not clear whether they started out more offensive and toned it down – or the other way around. For what it’s worth, the version I fond on the CNN site is the one with the more offensive lead-in. not having seen the segment yet- it confirms the growing concensus that their audience mostly appeals to the lowest common denominator. their only claim to fame that they still do well is disasters..and they seem to relish them..indeed even enhance. hardly a distinguished media role to be proud of.